What is the Summer Camp Immersion? 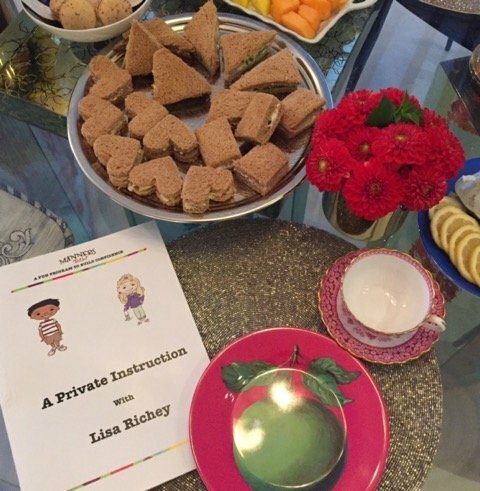 It is a unique and rare opportunity to hire Lisa to come into your home, school or club and provide 3 hours of manners training. Select the number of children that attend your event. Include up to seven children. This may be friends or family. Parents and caregivers are included in the fee. Contact Manners To Go at info@mannerstogo.com or call 610-212-1862 to reserve the dates. Availability is limited. The sessions are three hours each day. Lisa Richey with Manners To Go™ has been providing programs to the parents of New York City for over fifteen years. Columbia University, Eloise at The Plaza and private homes have hosted events. The material is witty, contemporary and beautifully illustrated. Together, we will customize the sessions to meet the needs of your family. The group size is small and the main focus will be on your child. The sessions are taught by me and no one is sent in my place. The sessions are upbeat and fun. We can include different venues and restaurants in your area. Most likely we already share something in common.